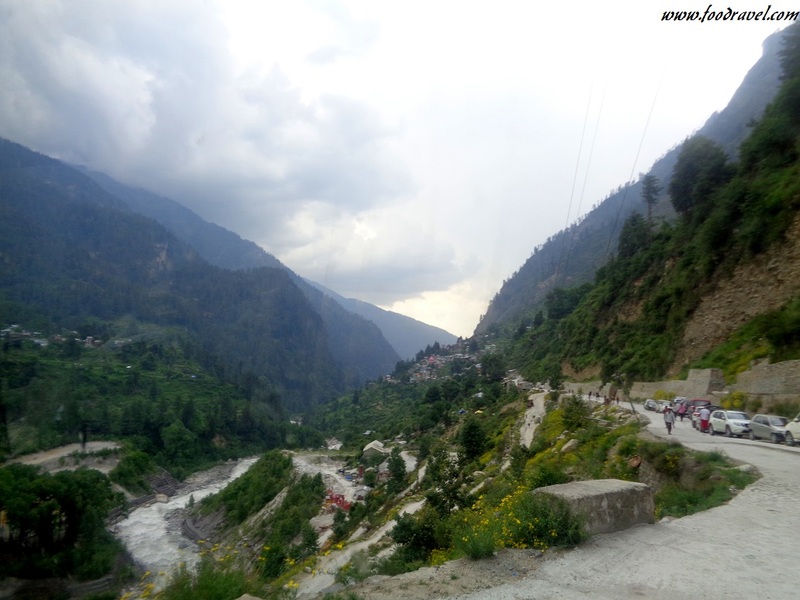 The second day of my Kasol trip reached to Tosh. 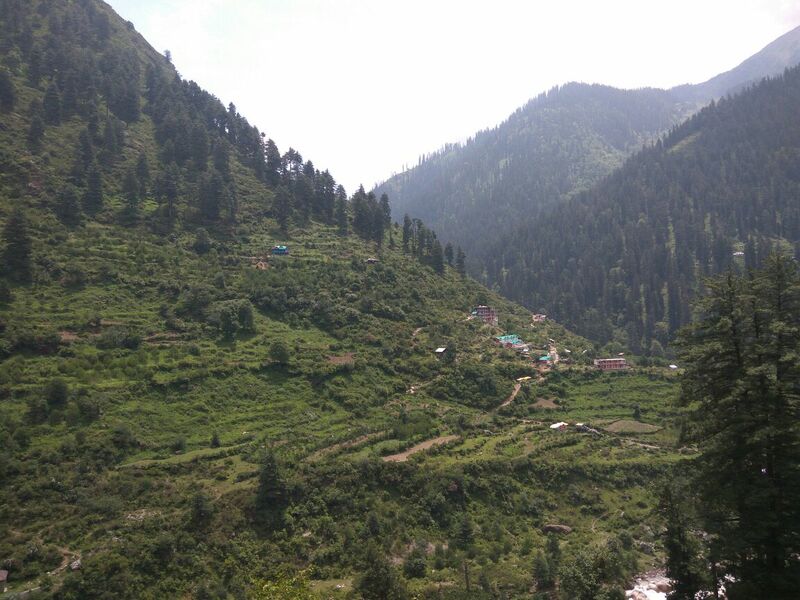 Tosh, a highly underrated place in the hills, is one of the most beautiful places in the state. I never heard this name but Alex told me about this place and we made a plan to visit Tosh. 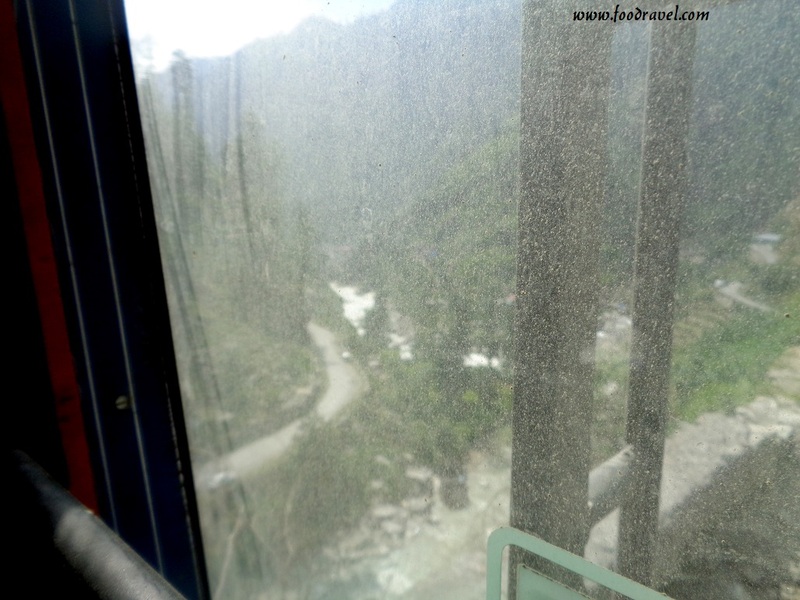 So, the day we reached Jari, we decided to go Tosh and Kasol, which was on the way. 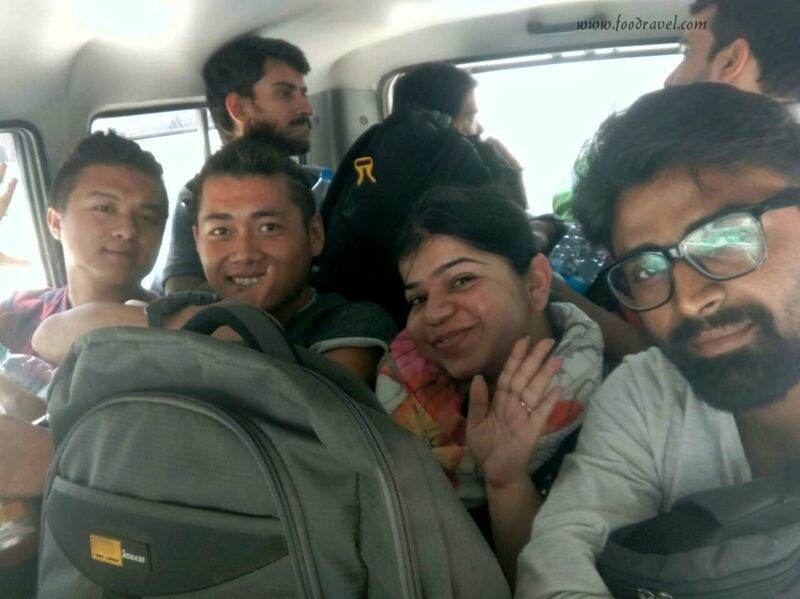 We were literally tired of our night long journey, thus we took shower and took rest for a while. Finally, we all got ready with our things and made our ways out on the road for cab. We asked the hotel owner for a cab. He went to the cab guys and came back. He told us that the cab would cost us around Rs. 1300. We dropped the cab plan and waited for the bus to come. 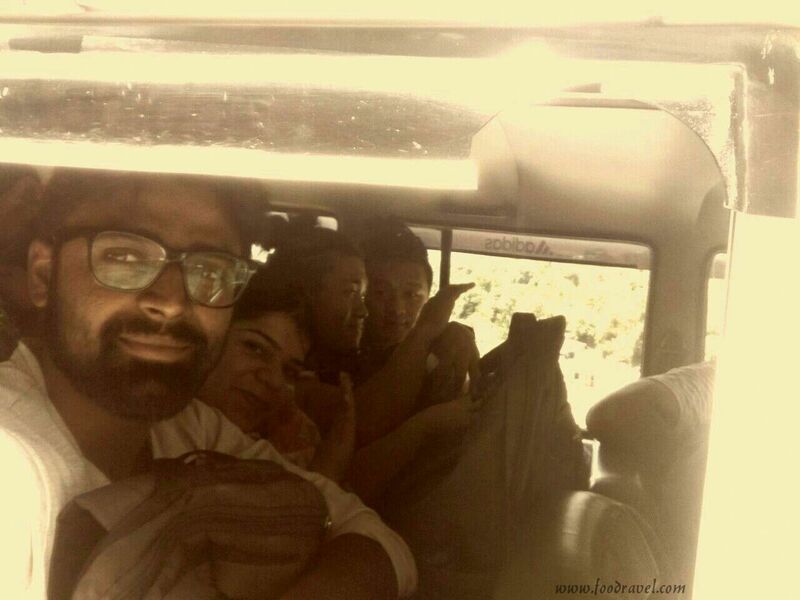 The bus from Jari to Barshaini would cost us only Rs. 50 which was far cheaper than the cab. I had already decided to spend at least a day in Tosh. The bus we got in was already crowded and we hardly got room to adjust ourselves. I Alex and Heis anyhow managed to stand in the crowded bus. There were locals and foreigners inside. This was an amazing bumpy ride. The ups and downs were little scary too as it was my first ride. The narrow broken road and a valley the other side of the road and hills the other side of road, this was what I have seen in the movies and in photos. 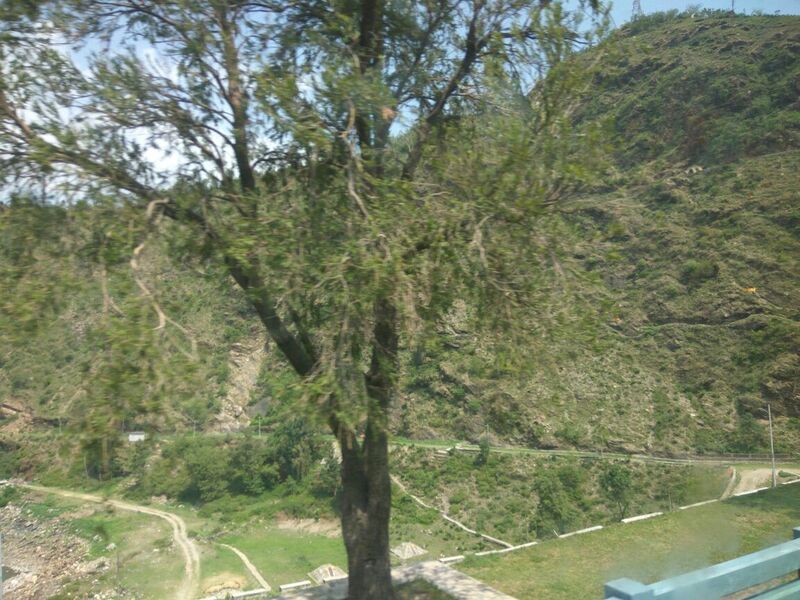 But this was my first ever live experience to see such panoramic views. I could see a river which I don’t know, the water was so violent and I could easily hear the sound of the water waves from so long distance. The road wasn’t all empty though, and at points there were steep turns, which gave me goose bumps. The bus was on its full speed which again scared me. But the person who drivers regularly in such areas, is expert and experienced. Tosh is located on a hill at an elevation of almost 7,900ft (around 2,400 metres). This small but beautiful village is located near Kasol on surrounded by hills in Parvati Valley. Tosh has been turned into a hippie colony as you will find foreigners smoking out weed there. 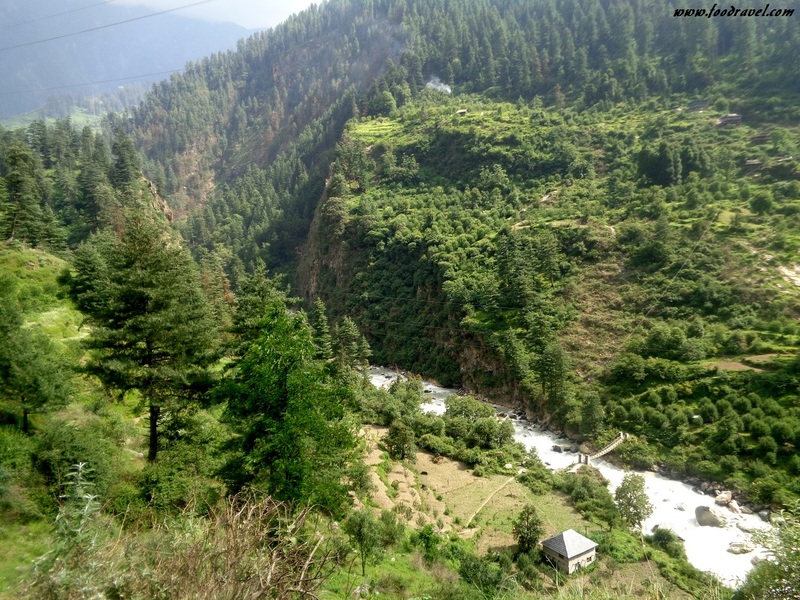 Tosh has picturesque views which will keep you captivated for long time. While we were on our way to Tosh, I was totally thrilled by the natural beauty there. 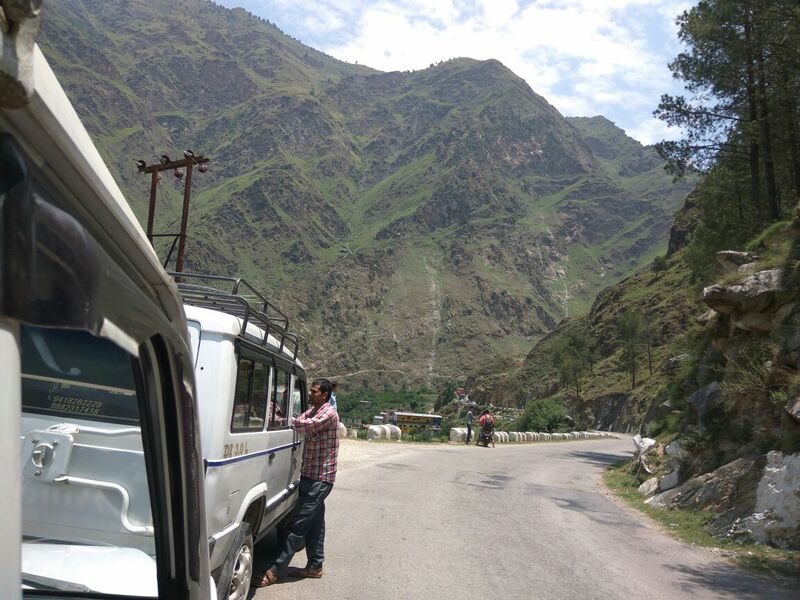 With every milestone, I was getting closer to Tosh and also to the fantasy of spending a day in Tosh. Living in metro cities and running every day in traffic, life seems so monotonous. I needed to take a break and this place was a perfect destination for me. I love nature and this place served the best. It has got everything. Being a nature lover, I fell in love with this place at the first sight itself. All I wanted to do was to just leave everything behind and get lost into the woods there, no phone, no social media and nothing. But life doesn’t work this way. Still, a day in Tosh was what I was looking for so far. Alex told me he could smell hash which means we were getting closer to our final destination. 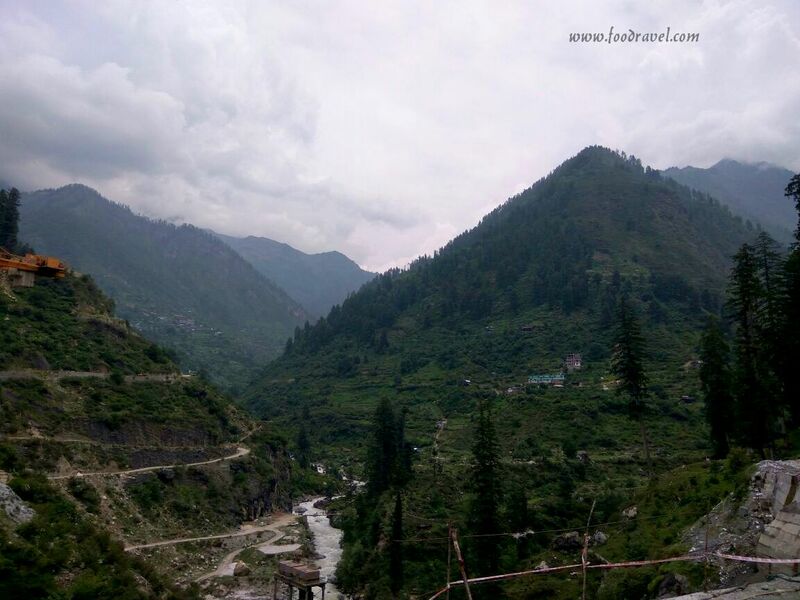 The feeling of spending a day in Tosh, under the wide blue open sky, clouds touching the snow – capped mountains, this all was making me restless and excited. The drive was kind of pleasurable, full of amazing memories that all of us treasured in our eyes and hearts and more in our smartphones. The river following the road, the trees running behind, local people on the way, small cafes and dhaba, everything was so amazing that I really wanted to get real lost. I kept myself away from phone as I didn’t want any disturbance. 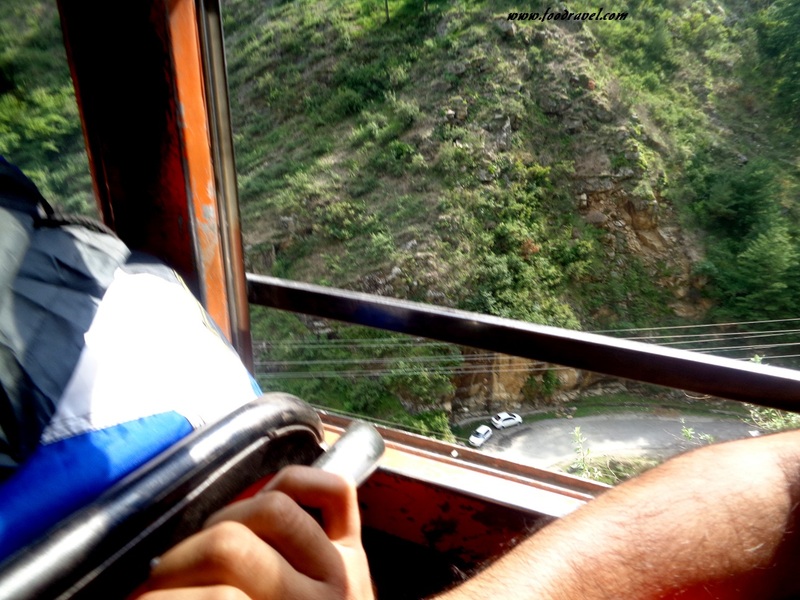 I had my pocket camera and kept on clicking the beautiful picturesque views on the way, sitting inside the bus. The spiral way, which was broken, somewhere there were small bridges, somewhere there was no road at all, somewhere the bus was just on the edge, which was a thrilling experience. Next me on the seat, was sitting a guy from Gurgaon who said he had seen me somewhere in Gurgaon or around, however I wasn’t sure if I had ever seen him or not. We talked for a while and I kept mum after that which I always do.